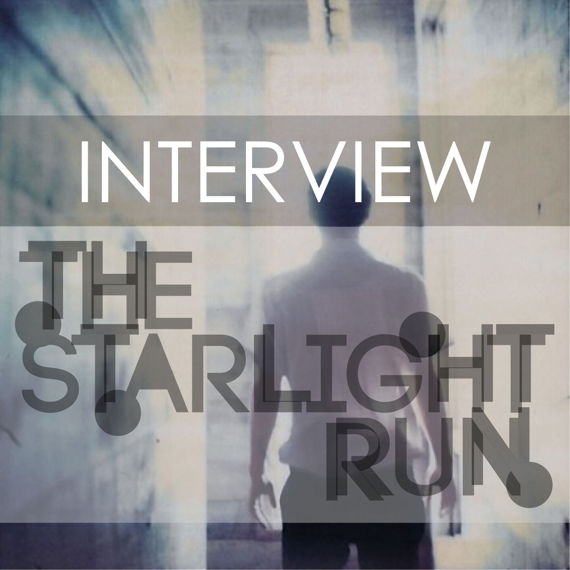 Your resource for all things shoegaze and dream pop: INTERVIEW: The Starlight Run. The Starlight Run is the music project of Neil Carey and Warren Ard, who are based in Hattiesburg, Mississippi. The duo have been making music together since 2014, when they released their impressive debut A Place to Land. Their newest offering, the Let’s Float EP, came out in June and the shoegaze/dream pop community has been abuzz with praise for the project’s dreamy and nostalgia-laden sound. We hope you enjoy learning more about The Starlight Run in the following interview, and thanks to Warren and Neil for taking the time to speak with us. Warren: I met Neil when a mutual friend of ours asked us independently to start playing with him, then after a few practices he bailed. But Neil and I kept going and some other people ended up joining in and we played around for a couple years. When that band ended we wanted to play some of our own stuff so we started the starlight run, probably around 2014 or so. Neil: We started after the previous band we were in dissolved. We had gotten together before and played around with stuff before, but it wasn't until the other band broke up that we took it seriously. We’ve been around for about 3 years I believe. I’m not too sure. W: We put out an EP a month or so ago on Bandcamp called Let’s Float. And we just covered “I Heard Her Call My Name” on The Blog That Celebrates Itself’s Velvet Underground tribute: After Hours, Velvets In Another View. Was super cool to be a part of that, been a Velvets fan forever. We’ve been working on an album on and off for a while, most of it probably predates the EP we just did. But it’s getting there, and hopefully it’ll be out around the beginning of next year. I’m in another band called d.e.b.b.i.e. with my friend Edmand. We’ve been friends for years and were in a few bands together too. We finally started back up again last year and then put out an EP on Bandcamp in April called Cousin Larry. Its more synthy stuff than The Starlight Run, but still pretty dream poppy with a little shoegaze and some 80s new wave and 90s indie rock thrown in maybe. We’re finishing up another EP that will probably be done by the end of the year and have a bunch of songs ready for an album after that. N: We released an EP entitled Let’s Float last month, and we have our first full length in the works. We were also just on a Velvet Underground tribute from The Blog that Celebrates Itself. W: I think we definitely fit in with that stuff. I don’t really think about it while were coming up with songs or configure them to be a part of any scene or anything. But I’m happy to be in it if we are. A lot of the bands I love are probably considered shoegaze or dream pop, so it’s cool. Whatever helps people find the music they’re interested in is a good thing so having a genre to be associated with is useful. N: I feel that we fit in pretty well with the Shoegaze and Dream Pop scene. We have a love for that type of music and enjoy playing it. Slapping genres onto a band can be a necessary evil. It can help someone who’s never heard of a band get an idea of what they may sound like. People can get a little carried with genres though. W: There are tons of great bands these days that could be considered under the general umbrella of shoegaze/dream pop/etc. Vivienne Eastwood, Black Marble, Hookworms, Drab Majesty, Merchandise, Preoccupations, Soft Lashes, The Virgance to name a few recent ones I really dig. N: There are a lot of great bands out there. I’m really fond of Fleeting Joys at the moment, even though they’re not that new. I’ve gotten lazy with finding new bands. I’ve been looking back and finding older bands that I missed. Warren is much better with finding new bands than I am. W: My Mac is probably the most important. Everything we do goes through it one way or another. I mostly play a Jazzmaster with vox or fender amps and I’m always trying out new pedals. I’m not super techy and don’t know what makes what sounds so everything is mostly determined by whatever pedal or effects I’m trying out, with a bunch of trial and error thrown in. And I don’t really like to keep up with the settings I use on them, I like finding something different or the process of finding some new sounds or ways to combine them. It helps keep things interesting and not get limited to any specific sound. Or maybe I’m just too lazy to keep up with it. N: I’m not sure I could name just one thing. Everything has its place. I’ll tell you what I use though. I have a Fender Jaguar that has been modified with a Fender wide Range Humbucker in the neck position. I only use my neck pickup. As weird as it may sound, that neck pickup might be the most important piece in my sound. I have a Fender 65 Twin Reverb amp that I absolutely love. As for pedals, I use a Deluxe Memory Boy, a Cathedral reverb, a DD7, a Danelecto Daddy -O overdrive and a Rat distortion pedal. Nothing like having and obscene amount of delay and distortion. What is your process for recording your music? What gear and/or software do you use? What would you recommend to other? W: It usually just starts off with some chords or riff or melody and throw that over some drums, then start layering stuff up. The actual recording part is usually pretty quick, then there’s a long process of editing stuff down and trying to reach some decent degree of fidelity. Everything gets recorded at home on the mac with logic software. It’s all I’ve ever used and it pretty user friendly so I’d recommend it. N: Warren is the recording mastermind. I’ll let him handle this one. W: Everything we’ve put out so far has been independently released on Bandcamp, but would definitely up for putting out some stuff on a label. I’m not a DIY purest or anything. Could always use any help, advice, and exposure they offer. Not to mention the backing and distribution. But not sure if we are or would get big enough to perk any labels interest. N: In the day with social media being so prevalent, I don’t think it really matters if you’re on a label or not. Anyone can get a ton of attention just using social media. W: Probably like most people I mostly listen to mp3s. But I still buy some CDs and records of stuff I really like. I don’t know, I still like having the physical copy to hold and look at. Feels more substantial and permanent. N: At home, we listen to a lot of vinyl. We’ve been working on growing our collection. As far as a preference, I don't really have one. As long as I can listen to music, I don't care what format it is. W: That’s hard to say. There are too many over the years that I have been into and have influenced me in general. But when I’m working on something it feels more introspective and personal. I’m usually just by myself concentrating or just trying not thinking of anything. Allowing things to go wherever they go. Maybe I should be thinking about it or more conscious of artists that have shaped our sound. There are little things/sounds or maybe the general feel of a song that I rip off of from people all the time. Sorry. But the actual process of coming up with something is more insular and inward. Not to get too overwrought about it. It’s mostly just a boring process of trying different stuff again and again until it something clicks. That being said Alex Chilton, David Bowie, Brian Eno, and Lou Reed would make a pretty impressive Mount Rushmore of influences. N: For me I’d have to say The Appleseed Cast, Sonic Youth, My Bloody Valentine, Slowdive, Early U2, The Cure are a few that come to mind. W: I just like trying to stay busy and always working on new stuff with my friends. N: Don't be a jerk. Be kind to everyone you meet. Help others that need help. Try to be positive especially in trying times.